Date: Wednesday, 6th March 1963. 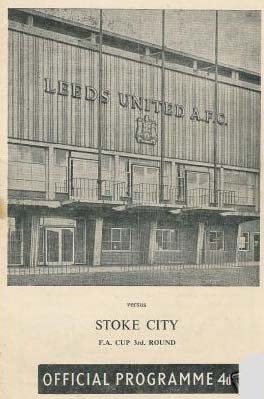 Score: Leeds United 3 Stoke City 1. Scorers: Leeds United: Collins, Reaney, Hair. Stoke City: Bebbington. 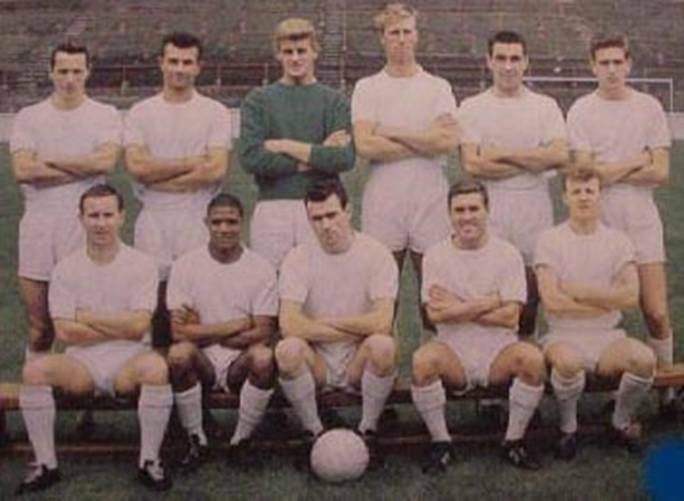 Leeds United: Sprake; Reaney, Hair; Bell, Charlton, Hunter; Henderson, Weston, Storrie, Collins, Johanneson. Stoke City: O’Neill; Asprey, Allen; Clamp, Andrew, Skeels; Ritchie, Bebbington, Viollet, Bridgewood, Ratcliffe. Referee: Mr K.J. Seddon (Southport, Lancashire). Unbelievably United finally got to play their much abandoned Third Round home FA Cup tie against Stoke City two months after it had been originally scheduled, with the draw for the Fifth Round having already been made and featuring all the probabilities of the contenders as West Bromwich Albion or Nottingham Forest v Blackburn Rovers or Middlesbrough or Leeds United or Stoke City were the permutations. 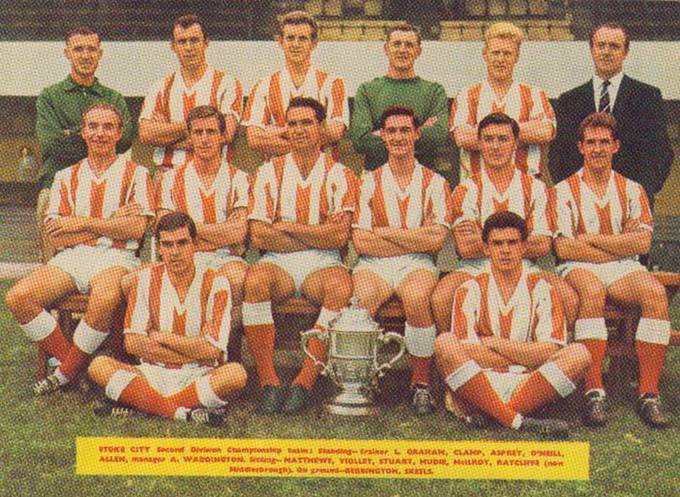 United were able to clear up the conjecture by beating Stoke 3-1 with goals from Collins, Reaney and Hair and then ten days later faced Middlesbrough at Elland Road and disposed of them 2-0 with goals from Storrie and Johanneson, but three day after that they fell 3-0 to First Division Nottingham Forest. Stoke finished Second Division Champions on fifty-three points and Boro’ fourth on forty nine points just pipping fifth place United by one point. As United trooped off the pitch at Roker Park after losing 2-1 on 22nd December 1962, little would they have imagined that it would be ten weeks before they were able to play there next competitive match in a 3-1 win over Derby County at Elland Road on 2nd March 1963. It was the most severe winter Britain had experienced in thirty years and it literally brought football, and the country, grinding to a standstill as snow and the big freeze froze the country to a halt. In those days there was no under-soil heating and as a result no games were played. The coffers of the club were getting bare with the pitches unplayable and the terraces unsafe. The Leeds team had started to take shape and when the games were resumed they kept on winning despite having to fit in about twenty games in a two and a half month period. 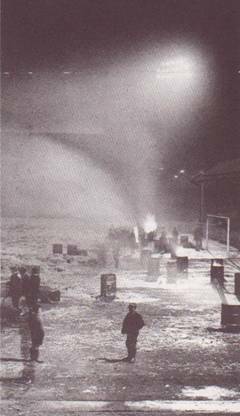 To get this FA Cup tie underway there were around one hundred braziers put on the pitch to melt the ice, but after that thawed out there was something like four inches of mud lying everywhere, impossible conditions in later years. 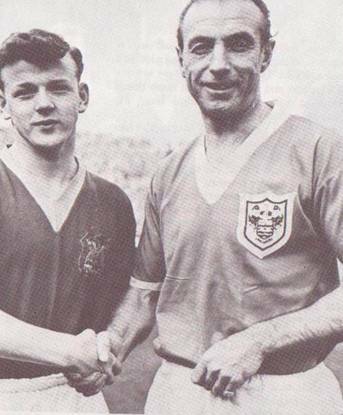 Stanley Matthews was due to play in the match for Stoke, but after seeing the conditions he decided not to play! 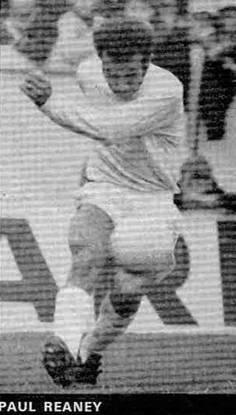 There were, however, several young Leeds players only too eager to play and Norman Hunter, Paul Reaney and Gary Sprake all made their FA Cup debuts. It proved to be the clubs first FA Cup victory in ten years and the crowd of 36,873 was the biggest at Elland Road for four seasons. 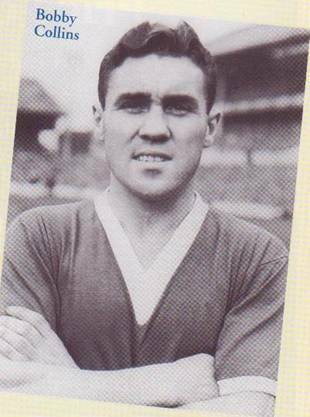 Both full backs Paul Reaney and Grenville Hair got their names on the score-sheet along with Captain Bobby Collins. After the enforced ten week lay-off, United ended their campaign on 18th May by playing a demanding twenty-two matches in seventy-seven days. Revie’s rebuilt team, which had narrowly avoided relegation the previous season, finished a creditable fifth and promotion followed in 1963-64 when normal service on the weather front was resumed. The roars which greeted the final whistle must have shaken the Twin Towers at Wembley itself. United had finally won an FA Cup Tie for the first time in ten years and Elland Road’s biggest crowd for four years was there to salute their new heroes. Don Revie’s team-building had captured the imagination of the Leeds public but his plans were put on ice by the bitter winter which had wiped out football for two and a half months. This Third Round Tie had been postponed on no less than twelve occasions and it proved thirteenth time lucky for United in their first Cup Tie played entirely under floodlights. Football starved fans flocked to Elland Road confident that the new-look United would exorcize their FA Cup ghost. 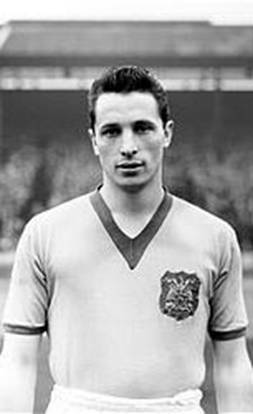 Revie had bought veteran Scottish International Bobby Collins from Everton in the previous March and had built the team around him as the leader and playmaker. Under his wing were fresh young talent like goalkeeper Gary Sprake, Full Back Paul Reaney and tough-tackling Wing Half Norman Hunter, who were fast emerging from the Junior ranks. The young trio all made their FA Cup debuts against Stoke and each went on to become household names. It was the astute passing of Collins that constantly caught the eye as he pulled Stoke’s defence out of position time after time. After twelve minutes, Collins took Hunter’s pass and fired in from twenty yards off a post. Confident United went 2-0 up after twenty minutes as Paul Reaney collected from a short corner and fired a strong shot through a crowd of players and hit Bill Asprey’s outstretched leg on the line before finally going into the net. Stoke, who chose not to play the ever-green Stanley Matthews because of the heavy pitch, put up a good fight and had a John Ritchie ‘goal’ disallowed for offside. With twenty minutes left Stoke clawed their way back into the tie when Don Ratcliffe’s shot bounced off Gary Sprake’s chest and Keith Bebbington stabbed the ball into the net. Any fears of another Cup calamity were allayed five minutes later with a rare goal from acting Captain Grenville Hair, who squeezed a shot between Irish International keeper Jimmy O’Neill and the near post. A delighted Hair said, “It was my gladdest moment in football. It’s only the second goal I’ve scored and I don’t suppose I will score another now, but I have had my moment.” For United and their fans there were Cup moments to savour at long last. Willie Bell (4), Norman Hunter (6).